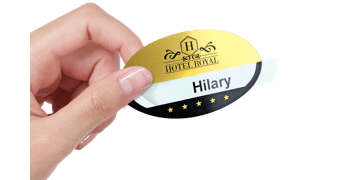 Selfit® PRO reusable badges are the premium choice when it comes to give a quality first impression. 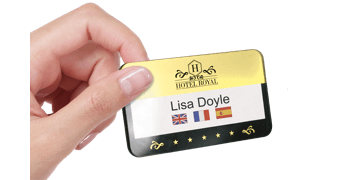 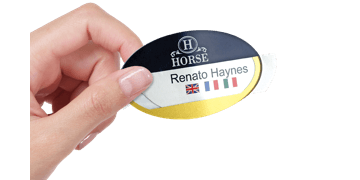 Their Plexiglas shell, a thick, rigid, glossy acrylic, printed with your corporate branding gives a professional look to your staff name badges. 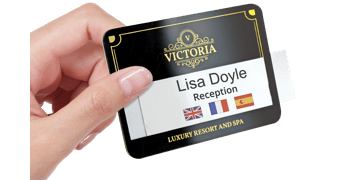 The clear window they contain enable the badges to be personnalised in a simple and easy way and as many times as you want.